The Hoyt Main Galleries feature the paintings of Bradley Milligan and Ben Frederick. 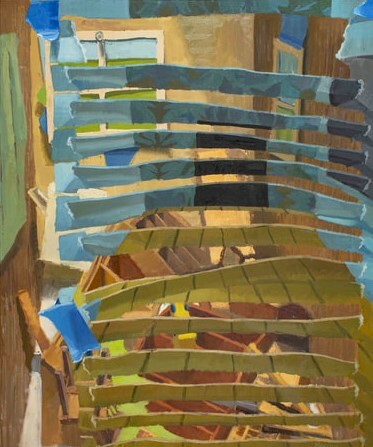 Originally from Easton, Maryland, Milligan has shown throughout Maryland and Western Pennsylvania as well as in a number of national and regional juried exhibitions. He now resides in Bloomington, Indiana. A Dayton, Ohio resident, he has become active in Dayton’s art community since graduating from the University of Miami in 2008 - exhibiting artwork, volunteering at a gallery, and teaching drawing and ceramics classes at a community art center. Several additional alumni are being featured in the Blair Sculpture Walkway including Christopher Boring, Heather Kanazawa, Josiah King, Zack Pontious, Rabecca Signoriello, Isaac Bower, Sara Catapano, Stephanie Craig, Deric Ence, and Todd Leech. Works range from photo realistic oils and expressive acrylics to contemporary ceramics and sculpture. Artistic Innovators will be on display through January 3. Admission to the galleries is always free.